Human growth hormone is prescribed to deal with conditions that cause the body to develop abnormally. But side effects of too much of it should be known. Human growth hormone is commonly prescribed to treat conditions which cause the body to develop abnormally or when the body is not maintaining itself the way it should. Some people use this hormone as a way to unnaturally boost body performance, either to prevent natural deterioration or to improve athletic function. The success of these measures is unsubstantiated, so doctors frequently speak out against this type of hormone injection. Improper use of HGH severely increases the risk of developing growth hormone side effects which can be uncomfortable or dangerous. The human growth hormone, abbreviated HGH, is naturally produced in the pituitary gland and regulates growth spurs. This hormone is also used to regulate body fluids, bone growth, metabolism, and body composition. Some doctors believe HGH also affects the function of the heart. HGH can also be produced synthetically and injected into the body to stimulate growth patterns. HGH may be prescribed to children or adolescents who are not growing at a natural rate. This could be because they are showing a natural deficiency of human growth hormone, they suffer from genetic disorders such as Prader-Willi syndrome that cause low hormone levels and poor muscle tone, or issues such as Turner's syndrome which prevents girls from developing properly. Adults may also be prescribed HGH to treat a hormone deficiency. These deficiencies are often caused by tumors in the pituitary gland which are disrupting its function. Patients suffering from wasting diseases such as HIV/AIDS may also be given doses of human growth hormone in homes of limiting the damage to the muscular system. If the muscles are allowed to degenerate, it can add an unsafe level of protein to the bloodstream, which will ultimately cause kidney failure. Some patients also use HGH to enhance athletic performance or as an anti-aging supplement, though this is considered to be highly dangerous and is not recommended. Great care should be given in determining who should be given the genetic growth hormone. 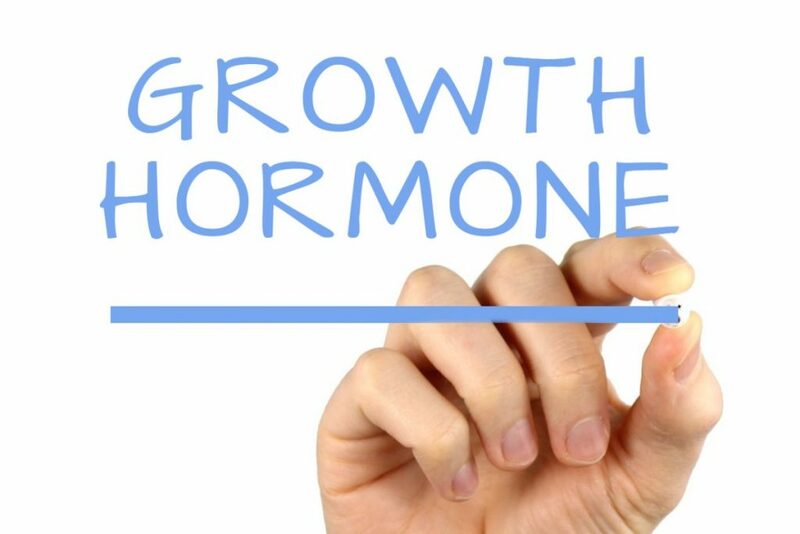 If the hormone is given to adults or children with normal growth patterns, they will be at a much higher risk for developing side effects. An excessive level of HGH in the body can cause the organs including the heart, liver and kidneys to grow to an excessively large size. This can lead to organ failure or dangerous conditions such as hypertension, diabetes and atherosclerosis. Extremely high levels of the human growth hormone in the system can also cause the bones to grow at an unhealthily fast rate, increasing the chance of injury during physical activity or natural periods of growth. Acromegaly: One of the most common side effects suffered by those using HGH is acromegaly. This is a condition that causes the connective and facial bone tissue to grow at an increased rate, causing a change in appearance. The brow bone and jaw often protrude significantly after using the human growth hormone. The hands and feet may also grow to an abnormally large size when this hormone is unnaturally introduced. Hair growth across the body may become more affluent, darker and coarse. Leukemia: In some cases, those using the human growth hormone have developed leukemia. It is unclear whether or not patients who do not produce an adequate amount of HGH are at a higher risk for developing this disease or if taking injections of the hormone increases the risk that leukemia will develop. This risk should be discussed thoroughly with your doctor before beginning treatment, especially if you are already at risk for developing cancer due to genetic issues. There are conflicting reports regarding how the human growth hormone affects the lifespan. Some doctors believe that HGH therapy is necessary for undersized individuals to live a full lifespan. Others believe that taking the human growth hormone increases the chances of the patient developing conditions which shorten the lifespan. Most notably, patients using HGH are more likely to develop HIV. Those using counterfeit versions of the human growth hormone are significantly more likely to develop negative side effects, especially when they inject the product without a doctor's supervision. Only use HGH when it is prescribed and administered by your doctor. What Is Food Grade Hydrogen Peroxide?